As the team representing Croatia and Serbia we are especially proud to be the recipient of the funds raised by this year’s COTF. As The Quail Warriors we are committed to fighting the really big issue of the illegal killing of birds in our countries – especially water birds, Turtle Doves and of course, Quails. We are truly grateful for your support. We want to take that support to take the necessary action on the ground in the Balkans – itself a very important migration route. We have also enlisted the help of honorary Serbian, David Lindovich – aka David Lindo, The Urban Birder. Together we will fight to stop the illegal killing of our birds! For last ten years my life is all about birds. Compared to other birdwatchers here at COTF race I know it is not much time, but it doesn’t matter, as we are all here to help birds. This is my first time in this part of the world so I am looking forward to see some new species of birds and meet new species of birdwatchers. 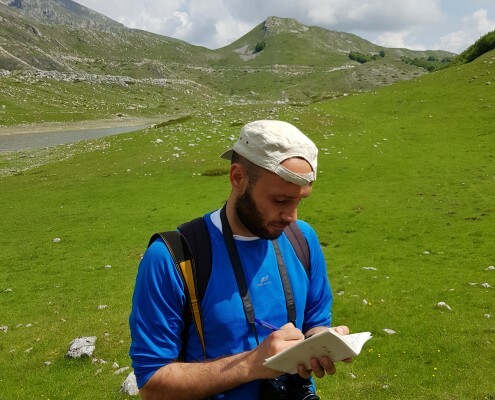 Even as a child, Vedran Lucić became a nature lover and enthusiast. As he discovered an inspiration to pursue his dreams, he decided to attend biology studies, where he would eventually meet his future coworkers and colleagues. Known for his extrovert nature and social skills he profiled himself as the public figure and the voice of Biom association. Vedran exceeds at leadership, tutoring and keeping the positive spirit among the team. 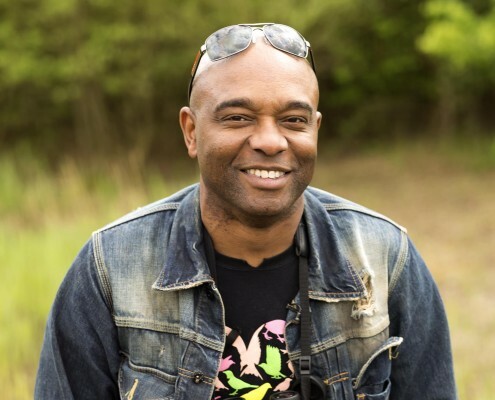 COTF veteran, David Lindo is The Urban Birder – broadcaster, writer, speaker and tour leader. He is delighted to be invited as an honorary member of The Quail Warriors. He is no stranger to the Balkans having spent many years leading birders from across the world to see some of the region’s wonderful wildlife. He is particularly in love with Serbia where he is also known as David Lindovich. He specialises in taking people to see what should be Serbia’s National Bird – the Long-eared Owl. And oh, don’t be put off by his urban moniker. He can find a feather in a sandstorm! I am watching birds since 2013 mostly in Croatia and Balkan region. 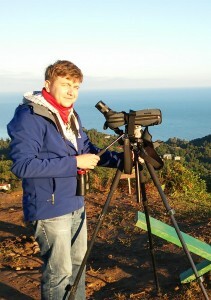 Last year I volunteered as a counter in Batumi Raptor Count, in Georgia. I been working on different monitoring projects for common birds, water birds, gulls and birds of prey. In my free time I photograph birds and nature. Yes, I love sweets! Biljana Ječmenica is young and intelligent, but also experienced biologist and ornithologist, capturing wildlife with her beloved photo camera kit and exceptionally trained eye for photography. Her reputation precedes her, as she is decisive, insistent, passionate and proficient, sharing her knowledge, but also continuously expanding it. Biljana is a devoted conservation activist, known for anti-poaching efforts, and causing fear and tremor among the poachers in the region. I have been birding since 2000 when I got my first field guide and binoculars – the keys to enter the fascinating world of birds. I did most of my birdwatching in Croatia and Europe, only occasionally in the Americas and Asia. I like to bird mindfully, in a relaxing way, enjoying nature, landscapes as well as other fauna and flora. Birding just makes me happy! 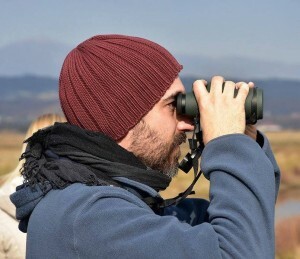 One of the founders of Croatian BirdLife partner, Association Biom, is an author of numerous works and researches on the subject of birds and nature protection. Born in Germany and after his high school years, moved to Croatia to pursue education in biology. Longtime leader of Biom, experienced ornithologist, field explorer, leader of development and implementation of many projects and also one of main people that fights activities harmful for nature inside courtroom. An unshakable visionary with a clear goal that stands on the first line of nature protection without hesitation. Aleksa is a tireless environmental activist and passionate lover of everything concerning nature and environmental conservation. An ecologist by profession he grew up near the river in his hometown in Central Serbia and has been a devotee to birds from very young age. Usually, he likes to spend time in nature studying birds, but he is also interested in urban birds and in their interactions with humans. He loves all bird species, and he considers them as ideal environmental indicators. 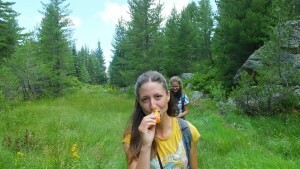 In Serbia he is trying to educate the public on nature conservation on a daily basis. In particular, he wants to educate children and explain them the problems that birds are facing. His idea is simply that if people care about birds then they are actually caring about themselves. For Aleksa, every new trip is a great challenge and a new experience, especially due to the birds that live in that region. The Champions of the Flyway will be a great opportunity to familiarize himself with the wildlife of Israel and to meet many great birders from all over the world.